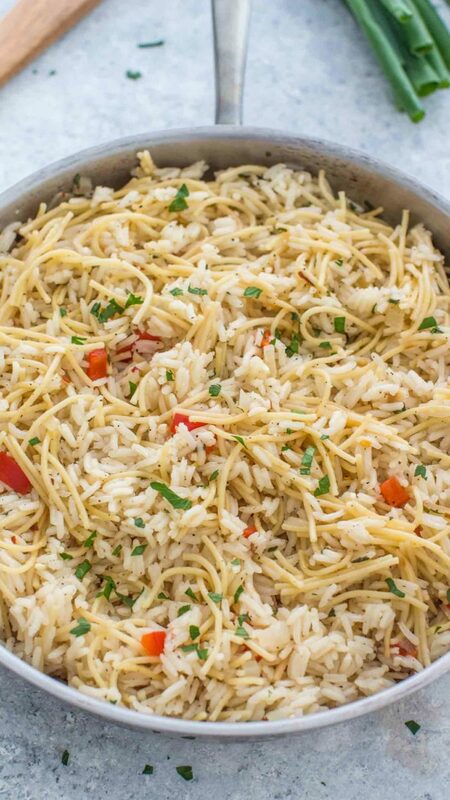 Rice a Roni is a very easy to put together dish, that tastes delicious and satisfying. It is a budget friendly and perfect side dish that is guaranteed to be a hit with your family. 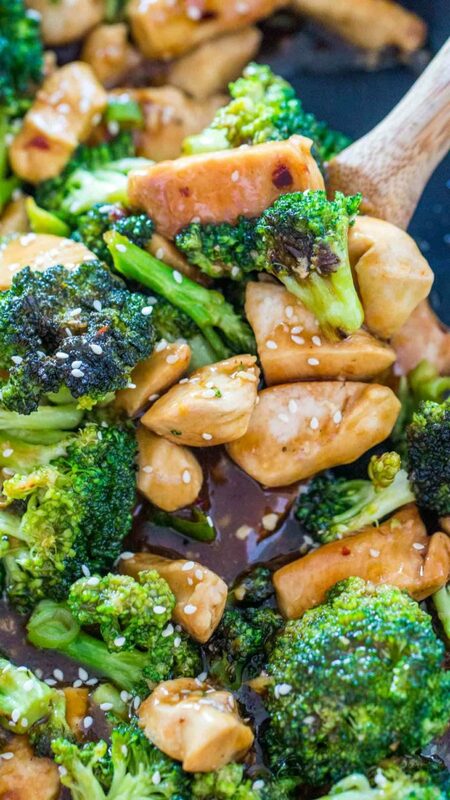 Making this dish at home is well rewarding. While you can find lots of variation of store-bought Rice a Roni, it will not taste the same. 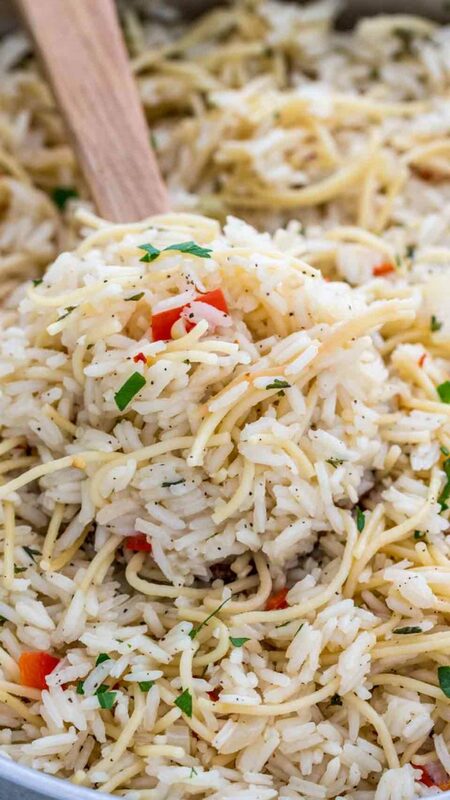 This homemade Rice a Roni pairs well with so many dinner meals. 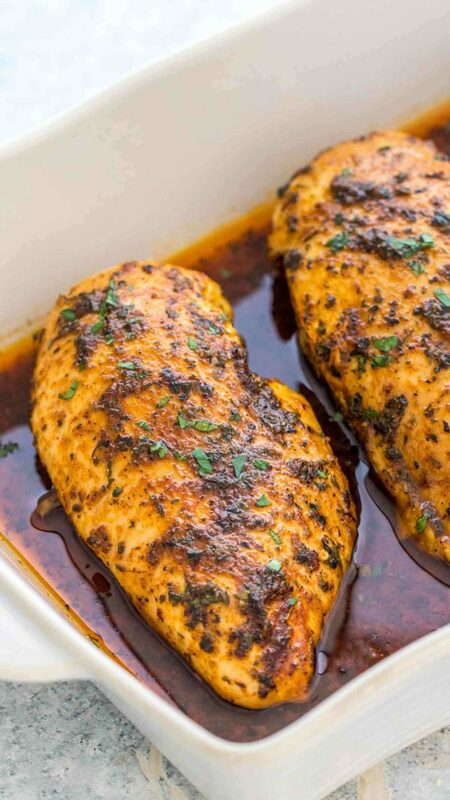 I love mixing it up with Honey Roasted Pork Tenderloin or perfect Baked Chicken! 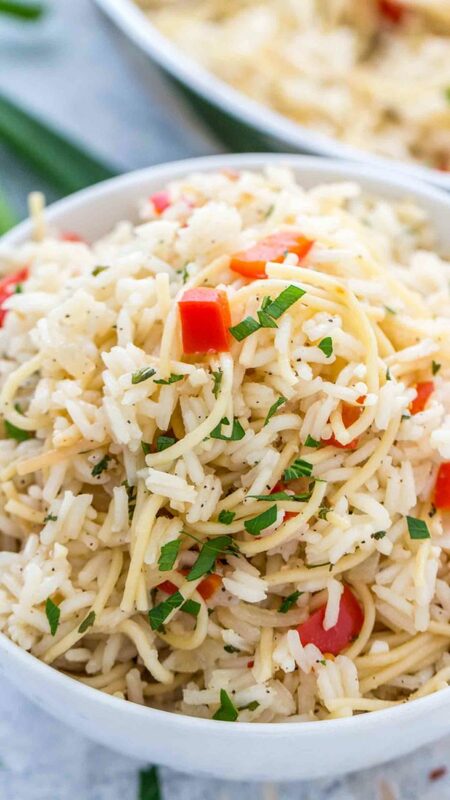 Rice a Roni is the perfect alternative to your traditional fried rice or even Spanish rice. Unlike simple rice, this one is full of flavor and rich in texture. 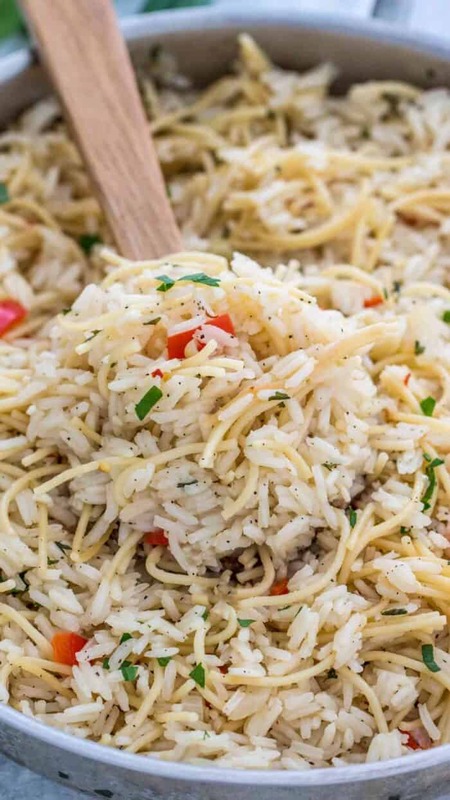 The beauty of this Rice A Roni recipe is that it’s the best of both worlds; a mixture of rice and spaghetti. This combination makes it taste so much better. 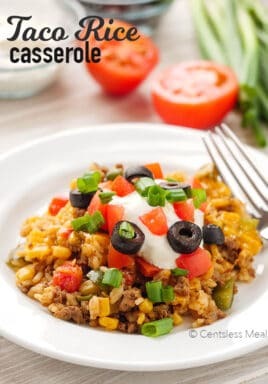 Also, you can use your favorite type of rice to make this dish. I usually use jasmine or basmati rice, mixed with thin spaghetti pasta. Similarly, you could throw some veggies into the mix, such as broccoli, bell pepper, sweet peas or shredded carrots. To make it creamier, add some butter or sharp cheddar cheese. Believe me, once you try it, you will fall in love with it! This side dish is so good and is a great way to make kids eat their rice and veggies! What do you need to make rice a roni? In a large skillet sauté veggies, then the spaghetti and rice. Add broth and seasonings and bring to a boil. Cook for about 20 minutes, until water is absorbed. In general, all rice is gluten free. Since this Rice a Roni recipe calls for both rice and spaghetti, it won’t qualify as gluten free. Therefore, if you are looking for a gluten free side dish, make sure to use gluten free pasta or spaghetti. What should I serve with Rice a Roni? What should the rice to water ratio be? As a general rule, you would want the water to rice ratio to be about 1 cup of rice to 2 cups of water. 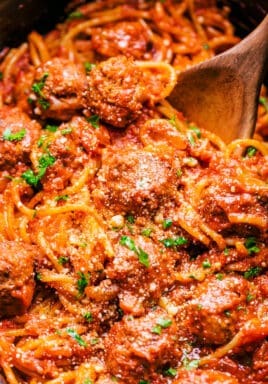 Considering that spaghetti is also used in this recipe, I recommend you use about 1 1/2 cups of rice with 1 cup of spaghetti, to about 4 cups of broth. If you are cooking a large portion, increase the ratio accordingly. How to store rice a roni? If you end with leftover rice a roni, you can easily store it in the fridge. Before refrigerating it, make sure the dish is completely cooled. Then, simply transfer to an airtight dish, and store in the fridge for up to 4 days. Can You Freeze rice a roni? Sure can! Simply transfer the leftover Rice a Roni to a freezer proof container, and freeze it up to 6 months. You can even cook a larger portion in advance and freeze it so it’s ready when you need it. Frozen Rice a Roni can also be used in soups and casseroles. 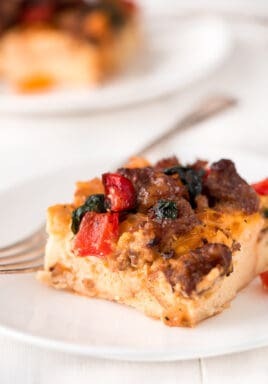 It can be easily reheated on the stove or in the microwave. Let the frozen Rice a Roni thaw before reheating (if frozen). Then, simply add two tablespoons of water for each cup of Rice a Roni and cover. Reheat over medium-heat for about 5 minutes or until fully warm. For a microwave option, transfer it into a microwave safe dish, add two tablespoons of water for each cup, and heat for about 2 minutes. 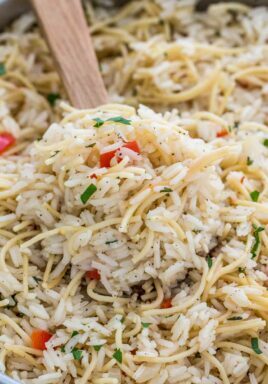 Rice a roni is a very easy recipe, that tastes delicious and satisfying. A budget friendly and perfect side dish that is guaranteed to be a hit. Place a large pan over medium heat and add olive oil. Once the oil is hot, add the diced onion and cook stirring for 1 minutes. Add the diced bell pepper and minced garlic. Stir and cook for 2 minutes. Add the pasta pieces and cook until browned, about 3-4 minutes. Add the dry rice and cook stirring for another minute. Add the chicken broth, salt, pepper, dried parsley and red pepper flakes. Stir to combine and bring the mixture to a simmer. Reduce the heat to low. Cover the pan and cook for 20 minutes or until all the liquid is absorbed. You can stir the mixture once mid-cooking. Once cooked, don't lift the lid. Remove the pan from heat and let it stand for 10 minutes. After that, fluff with a fork and garnish with chopped parsley.